The Texas Academy of Pediatric Dentistry employs Mr. Charles Schnabel and Ms. Amber Hausenfluck to focus on public policy issues, specifically as they relate to children’s oral healthcare needs. TAPD has had the privilege and honor of having Mr. Charles “Charlie” Schnabel Jr. represent our organization. With over 65 years of experience in all aspects of the Texas government, Charlie has been our biggest asset, ally and voice at the capitol as we have continually worked to highlight the dental needs of children in our state. Charlie was born in San Antonio, Texas in 1932. He graduated from the University of Texas at Austin with a B.A. in Bacteriology and a M.A. in Public Administration. 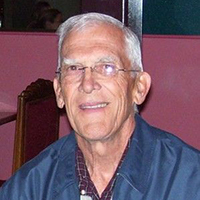 Charlie began his career immediately after graduation in 1953 and served the Texas Senate as the Reading Clerk to the Texas House of Representatives. He was promoted to serve as the Secretary of the Senate and held this position for twenty-three years. He began his career with Charlie Wilson in 1985 as his second Administrative Assistant until 1991. He gained much notoriety while working with Charlie Wilson, even being depicted in the movie “Charlie Wilson’s War”. His knowledge and contributions are varied and vast and the stories from his career have been brought to Hollywood! To learn more information about Charlie’s amazing leadership and career, visit The Capitol Crowd for a wonderful interview with him. You can also learn about his time with Charlie Wilson by reading his transcribed interview in conjunction with the Charlie Wilson Oral History Project at Stephen F. Austin State University. Ms. Amber Hausenfluck of McGuire Woods Consulting is the newest member of our legislative team. Amber, who was born and raised in the Rio Grande Valley, received her undergraduate degree from the University of Texas at Austin and law degree from St. Mary’s University School of Law. She joined McGuireWoods Consulting in January 2015 and serves as a vice president of state government relations. 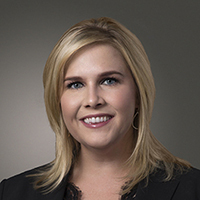 She assists with traditional advocacy, lobbying and government relations services in matters before the Texas Legislature and regulatory agencies. She most recently worked as deputy legislative director for state Sen. Leticia Van de Putte. In her time at the Capitol, Amber staffed the Senator on the State Affairs, Business and Commerce, Education, Transportation, and Intergovernmental Relations committees. Amber played an instrumental role in the state’s passage of the MOVE Act, as well as laws that expanded the craft beer and distillery markets in Texas. Amber also has statewide campaign experience, having served on Senator Van de Putte’s campaign for Texas Lieutenant Governor in 2014. Learn more about Amber or the team from McGuire Woods Consulting.